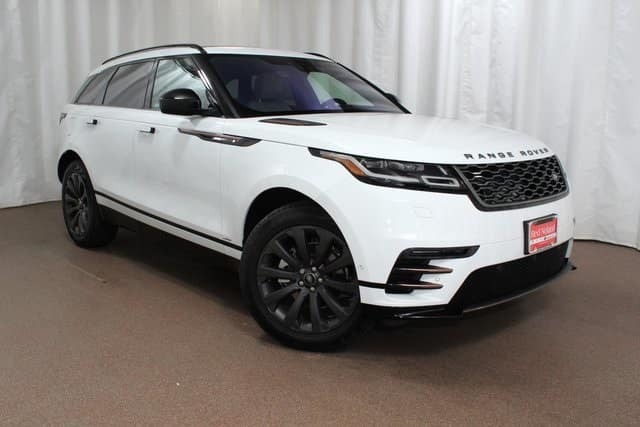 Land Rover Colorado Springs is offering $3,000 in Conquest Cash toward the purchase of a 2018 Range Rover Velar! To qualify you must already have one of the following car brands: Acura, Audi, BMW, Jeep, Lexus, Lincoln, Mercedes Benz, Porsche, Tesla, or Volvo. You do not have to trade your vehicle in to qualify but must show proof of ownership in the form of valid registration. The 2018 Range Rover Velar is a medium-sized SUV with refinement, capability, and innovative technology. The striking and sleek exterior includes flush door handles and an integrated rear spoiler for improved aerodynamics. The All-Wheel Drive and Intelligent Driveline Dynamics will provide an excellent ride quality. Innovative features like the Land Rover InControl® Touch Pro™ Duo Infotainment System and Interactive Driver Display add to the driver and passenger experience. Visit Land Rover Colorado Springs to see the 2018 Range Rover Velar today. Let our Range Rover experts show you the many features that will make each of your drives amazing. Plus, take a test drive and experience the impressive performance and capability of this luxury SUV. This $3,000 Conquest offer is good until 4/2/2018.